Here’s a list of points to remember when planning a trip. Read through them to experience more hassle-free and peaceful trip, while saving a significant amount of time and money. While booking a hotel, check online the various hotels in your destination. You should visit the website of each and every hotel. However, keep in mind that everything given on the website might not be true. To cross-check the facilities and services a hotel has mentioned on its website, you can visit other travel websites, check online reviews, check with family and friends, and your trusted travel provider, before making your decision. Carefully check hotel facilities, inclusions, exclusions and whether there is a hospital, departmental store and restaurants around each hotel. Plan your trip beforehand. Before booking a flight or a hotel, plan other things too. Research on the sightseeing places at your destination and how will you travel to and from each place. You can check Google Maps to get a rough idea of the distance of the tourist places from your hotel. 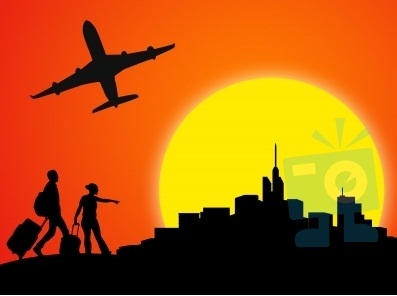 Check online the weather of your destination in the days you will be visiting there. This helps you in carrying the right kind of clothes and appropriate medications for that season/weather. Carefully check inclusions and exclusions in your holiday package. Do not forget to read the fine print to ensure that there are no unpleasant surprises. Cross check all your vouchers and ensure dates and all other details are correct. While booking flight tickets, carefully understand if there is any additional fees, whether the tickets are refundable/non-refundable, and what are the cancellation/rescheduling charges. Sometimes you get special fare that appears very cheap on the surface, but has stringent penalties attached in case of any changes.